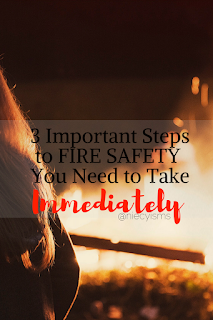 Safety first is a lifelong lesson that always warrants repeating. Sometimes, we are often guilty of falling into a pattern of routine or convenience and may become lax in observance of safety precautions. Household fires are an all too common occurrence, with a fire department responding to a house fire every 24 seconds on average, according to The National Fire Protection Association. The month of October is National Fire Prevention Month, serving as prime time for the reminder to protect our homes against potential fire safety hazards. The opportunity to learn more about the newest smoke and carbon monoxide alarms and how to operate a fire extinguisher helps keep our homes safer. 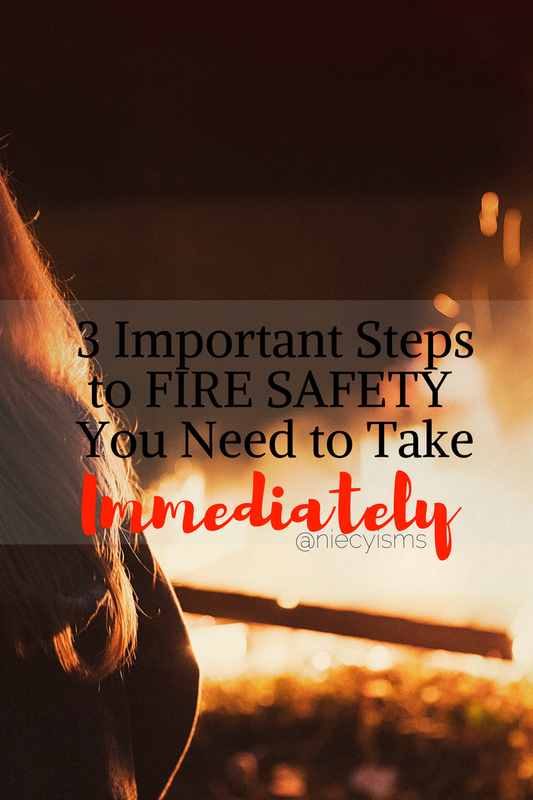 There are three important steps to fire safety that you need to take immediately. Thank you to the team from Home Depot for sponsoring this post with informative and promotional resources for the purpose of facilitating this educational editorial content. · According to information from The National Fire Protection Association, approximately two thirds of residential fire fatalities are the result of fires in homes without working smoke alarms. 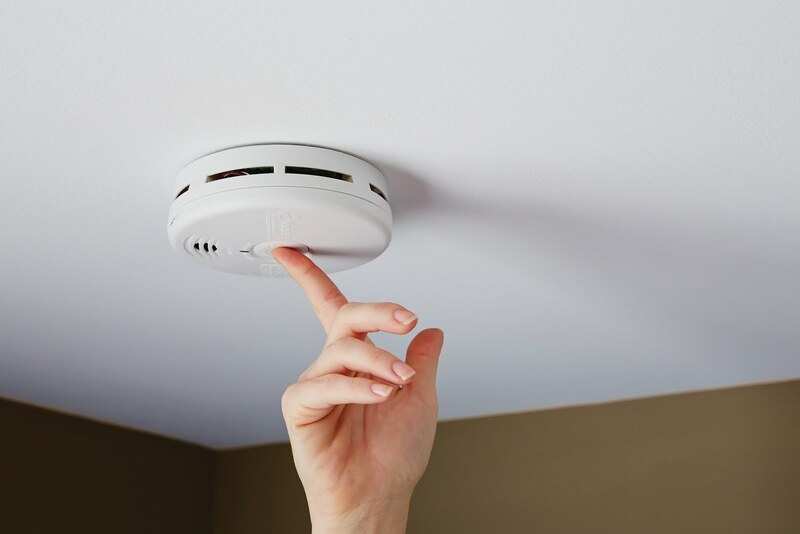 · Common practice is to invest just 10 minutes to ensure that smoke and carbon monoxide alarms are functioning at least twice a year. Any batteries in need of replacement, recommendation is the use of long-lasting Duracell Quantum Batteries. An advanced feature of these advanced alkaline batteries is the exclusive PowerCheck feature allowing the verification of the power level at any time. · Carefully install wall-mounted alarms not more than 12 inches away from the ceiling to provide the earliest warning alert possible. Always read and follow all manufacturer’s installation instructions. Kidde Worry Free 10-Year Sealed Lithium Battery Smoke and Carbon Monoxide Combination Alarm with Voice Warning distinguishes between cooking and fire smoke to detect actual fires faster, reducing false alarms resulting from cooking. This alarm model is powered by lithium-ion batteries that can last for 10 years, minimizing routine maintenance. Kidde 10 Year Smoke Alarm with LED Escape Light helps to allow for a faster, safer exit with bright LED lights providing a lighted escape when the alarm is activated. Ideal for bedrooms, the Kidde Twin Pack Worry Free 10 Year Combination Alarm with Voice features voice alarms more effective in waking up heavy sleepers, especially children, prone to sleep through a siren will more likely wake up to a voice alert. Another consideration for protecting bedrooms is the Code One Ionization Smoke Alarms, providing a two-value pack with a loud sound alert which is also automatic and easy to install. 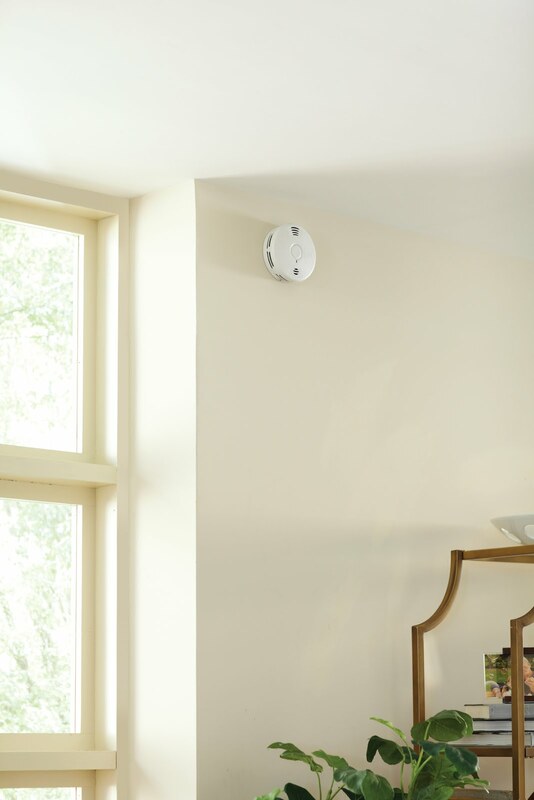 Efficient and valuable, the Nest Protect Smoke and Carbon Monoxide Detector is an asset to any room, keeping your home safe while you’re away. 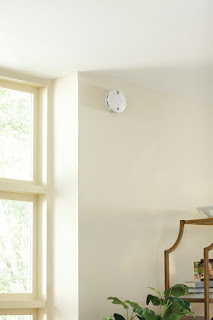 The Nest Protect conveniently connects to a phone to notify you of a fire, carbon monoxide threat or low battery alert. Utilizing advanced technology, the unit detects the location and cause of the problem, protecting your home for up to 10 years. · Fire extinguishers are responsible for effectively putting out 80 percent of all fires according to a recent study. For your protection, at a minimum, one fire extinguisher should be maintained on every level. 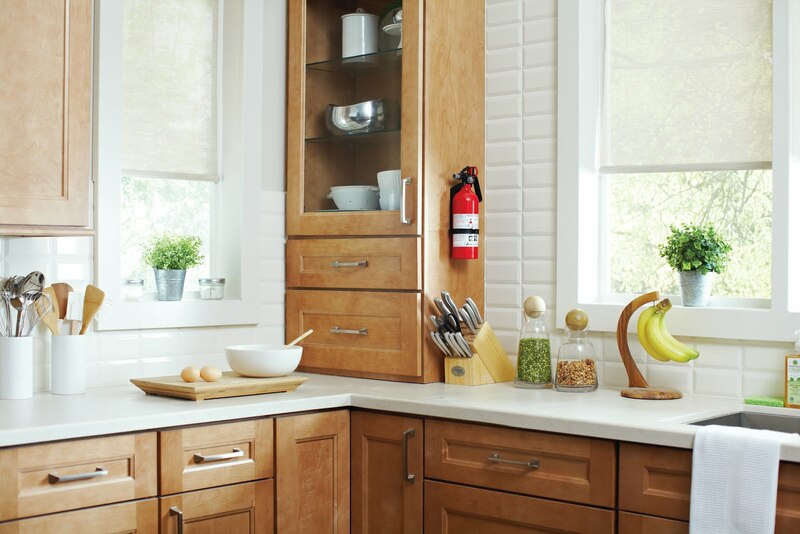 These models offer functionality for specific areas in the home. Kitchen fires pose a unique threat due to the presence of oil and grease used for cooking, select an extinguisher designed for cooking-related fires, such as the Kidde UL 711AKitchen Fire Extinguisher. Many flammable chemicals are often stored away in the garage, choose an extinguisher providing a higher capacity capable of combating combustible materials such as the Kidde 5 B:C Fire Extinguisher. Multi-functional in use, the Kidde 1-A:10-B:C Fire Extinguisher is effective for use on most household fires, including trash, wood, paper, liquid, gas and electrical equipment fires. * AIM low and point the nozzle at the base of the fire. * SQUEEZE the handle to release the extinguishing agent. * SWEEP from side to side at the base of the fire until it’s out. · As stated by the Federal Emergency Management Agency (FEMA), it is extremely important to prepare a plan that everyone in your home knows, indicating the best escape routes. Designate an outside meeting place (i.e. neighbor's house, mailbox, or stop sign) that is a safe distance away, in front of your home, where everyone will know to meet. · Refer to your home fire escape plan, practicing it at least twice each year. Make the emergency practice drill as realistic as possible, aiming to get everyone out within 5 minutes or less. · In a multilevel property, the Kidde Fire Escape Ladder is very handy to drop out of the window to create an emergency exit. This ladder requires no assembly, featuring a tangle-free design allowing everyone to exit the house quickly and easily. Visit Home Depot for more information of Fire Safety and product information.